More than 20,000 new gadgets and technologies from more than 2,700 companies will be on display at the Consumer Electronics Show. We will be writing about the devices and gadgets that catch the eye throughout the show. Finding new music is always one of life's joys and web services like Slacker have helped. 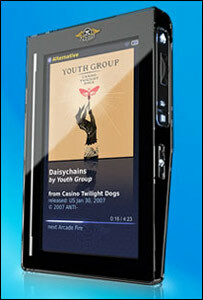 But now you can get access to undiscovered tunes on a portable device. Slacker is releasing a portable media player which uses a wi-fi connection to help you discover new bands and musicians. It's being touted as the world's first personalised portable radio player. It works by downloading new songs to your player, based on your music listening preferences, each time you enter a wi-fi hotspot or connect the device to your computer. You can have 40 different "radio stations", holding up to 4,000 songs, on the player, which comes in 500MB, 1.5GB and 4GB flavours. The service and player are only available in the US at the moment and is expected to be released at the end of January. No longer content with simply providing directions from point to point, manufacturers are starting to pack more and more features into in-car GPS devices. Those on show at CES include the ability to download movie times, find a parking spot and avoid the traffic. One company, Dash Navigation, has launched a unit called the Dash Express which aims to harness the power of its community to avoid traffic jams. The unit has the ability to receive real-time traffic data from different sources, including units belonging to other owners. In effect, each unit works as a traffic sensor sending a user's speed and location over a permanent internet connection. Back at Dash HQ, the company calculates up-to-the-minute traffic conditions and suggests alternative routes if there is a traffic snarl ahead. In theory, the device should get better as more Dash users hit the roads. 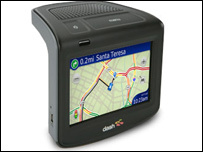 The device has been developed in collaboration with Yahoo and allows the users to conduct web searches for locations or even the cheapest fuel. The US service costs from $10 a month. To share photos quickly and easily a wireless camera is a must. But for those people who do not want to invest in a new device help is at hand. 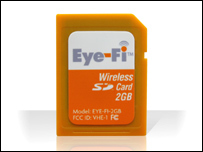 A company called Eye-Fi have developed a series of memory cards with built in wi-fi that automatically convert your camera into a wireless device. The 2GB cards automatically connect to a wi-fi network and can dump photos to a folder on a PC or upload them to social networks or photo-sharing sites. The firm has done deals with the likes of Flickr, Photobucket and Facebook. The associated software takes care of log-ins and passwords and can even automatically resize pictures if the site requires it. To send them to a computer the PC must be turned on and running the companies photo managing software. Currently they are only available in the US but should be on sale in Europe later this year. Cashing in on the success of the first three Guitar Hero games is the Guitar Hero Air Guitar Rocker. The battery operated toy is the first licensed product not associated with the popular PlayStation 2 and Xbox 360 game. The setup allows players to rock out anytime, anywhere. When the pick is waved in front of the buckle a guitar chord is unleashed. The tempo of the music is controlled by how quickly the player strums the pick in front of the buckle. It consists of a battery operated guitar pick, belt buckle and wearable mini amplifier. The amp comes preloaded with tracks from Black Sabbath, Deep Purple, Motorhead, Van Halen and Boston. The $29.99 (£17) toy will be available later this year. It has won admirers for its four gigabyte solid state drive, small form factor and attractive price. 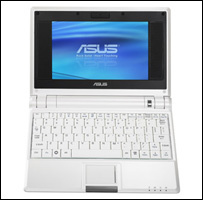 It runs the Linux operating system, but can also run Windows XP. The company has now announced new models - 7, 8 and 9 inch - but crucially, they will have Wimax built in - giving it increased wireless capabilities. In truth, there are not that many Wimax-enabled areas anywhere in the world, although 70 different countries are running pilots. But Intel is betting heavily on Wimax as the winning next generation wireless network and so Asus has taken the plunge - at least, in North America. The entry level Eee with Wimax will cost about $999, according to reports, though Asus has so far remained tight-lipped on exact prices. If you have ever wondered what it feels like to fly a fighter plane or drive a formula one car, now is your chance. TN games has designed a wardrobe for gamers that recreate on screen action in the real world. 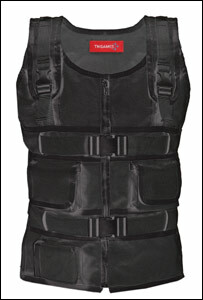 The vests are based on technology that was originally designed for use by doctors to remotely examine patients. The vests, connected to the computer by USB, consist of a light weight air compressor that pumps air into bladders. A version designed for first person shooters contains eight cells that are able to recreate the direction and force of bullet fire. Another version recreate the G-forces felt whilst driving and flying. When the player accelerates, the cells inflate in the chest. Faster acceleration causes the cells to inflate quicker, whilst braking causes the back cells to activate. The firm has also designed sleeves, leg covers and a helmet that plug into the vests to deliver what it says is a "full body gaming experience". One of the problems of recording TV programmes on to video tape was that when watching them back the viewer had to fast forward through the adverts. The same is now true of programmes recorded digitally through a TV tuner in a PC. 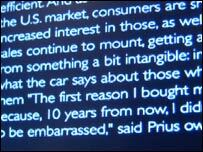 But a company called VideoReDo has developed a piece of software that automatically strips out the adverts. 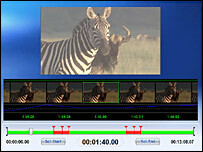 A trial download of the TV suite software which includes the ad remover is available for free. It works by looking for clues from what is on screen- such as the black screen between adverts - before cutting out the relevant section. The original version of the software - which includes a video editing suite - is nearly three years old. But the newest version incorporates useful features such as the ability to record the edited programmes to DVD. According to the firm the next version, out later this year, will let users encode the video to a format suitable for viewing on iPods. Children's toys went hi-tech at this year's CES. Woowee, the company behind the best selling Robosapian robot, launched a series of robots packed with gadgetry. Its wi-fi enabled Rovio robot packs an omni-directional webcam which can be controlled remotely using any web accessible device, such as a cell phone, PC or games console. The wheeled robot also features a stripped down GPS system that allows it to locate itself and navigate around its environment. The company has also launched a new version of Robosapien. 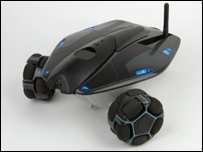 Tribot is a three wheeled machine controlled by a tilt sensor that is able to tell jokes, read stories and play games. The firm's line-up also included machines that dumped the cold, hard exteriors normally associated with robots in favour of fur and cute expressions. Known as the Woowee Alive series, the cute animals, which include pandas, polar bears and tigers all feature animated faces, and realistic noises activated by touch and tilt sensors. The lion cub also has other lifelike behaviours - leave it on its own for five minutes and the cub purrs itself to sleep. Pick it up by the scruff of the neck and its legs go limp. Other hi-tech toys included a flying robot packed with infra red sensors to allow it to fly autonomously. Millions of people around the world miss out on the joys of radio because they are hearing impaired. But a new initiative by National Public Radio, technology firm Harris Corporation and Towson University aims to change that. The consortium is developing radio for deaf people, a counter-intuitive sounding system that translates speech radio into text in real time. At the moment the voice to text conversion has to be done by typists but could one day be automatic. The information is then broadcast alongside the voice transmission and displayed on a screen on the radio. The consortium will transmit the first live broadcast at CES using a prototype radio that has a screen large enough to display big swathes of text. They expect the first commercial radios to be available towards the end of this year. The number of wires running behind the television has been reduced by one. 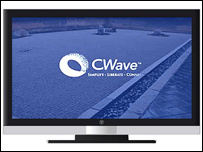 LCD TV manufacturer Westinghouse, working with networking firm Pulse-Link, have shown off what they say is the world's first integrated wireless HDTV. The 47-inch television looks like any other but has an in-built receiver that takes a signal from an ultra wideband transmitter plugged into a high definition DVD player. The setup at CES was streaming the James Bond film Casino Royale from a Samsung Blu-ray player. The firm claims that the secure connection has no lag and is able to stream a range of high definition formats including the highest resolution TV format available today, known as 1080p. The first sets are aimed at business, but the technology will soon make it into the home when it becomes cheaper. 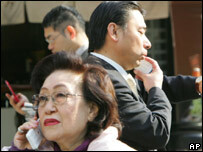 The mobile phone has changed the way people communicate, but a consortium of Japanese researchers and companies are banking on the device to do much more. The P2P Universal Computing Consortium (PUCC) has developed a set of networking standards that allow mobiles to remotely control domestic appliances from afar. At CES the consortium showed off an iPhone application that allowed a user to control a flat in Tokyo. The user could switch lights on and off, control the air conditioning and even turn the washing machine on. The technology is already available in Japan where users of the NTT DoCoMo network can keep an eye on their home from afar. The consortium has also shown off healthcare applications including a wireless nappy for use by bedridden patients and a heart monitor that allows a doctor to monitor a patient from afar. Later this year the group will release software that will allow anybody to build applications using the standards.